Emergency medicine Cardiopulmonary resuscitation Those activities–artificial breathing and external chest compression intended to maintain the heart pump, performed on a person to revive him/her from apparent death, when the heart and/or lungs are not functioning. See ABC sequence, CAB sequence, Cough CPR. Abbreviation for cardiopulmonary resuscitation; computer-based patient record. If they respond, even if it makes no sense or it is just a murmur, you must not start CPR as this means they are still breathing themselves. The proportion of bystander compression-only CPR attempts rose dramatically, from approximately 20% in 2005 to 76% at the end of 2009, the investigators said. Bystanders are often reluctant to perform CPR out of fear of disease transmission, fear of legal liability, or as a result of the complexity of guidelines and instructional materials (which hampers both learning and delivery of bystander CPR). Since patients had to have a PCC assigned on admission (with full support, including CPR as the default), failure to discuss and assign a PCC was an event that was reviewed by the hospital's quality care committee. But a national 4,000-person survey showed that a much higher percentage of the public would be interested in providing bystander CPR if the procedure involved chest compression-only CPR. Results of a seven-year study comparing the effects of chest compression only versus standard CPR (including mouth-to-mouth) found that survival results were not significantly different whether mouth-to-mouth was given or not. 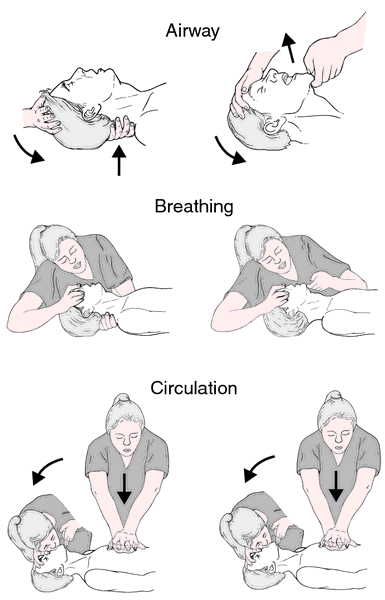 Findings from all studies to date indicate that the prompt delivery of CPR to an infant or child results in lower mortality and fewer neurological complications (Friesen, Duncan, Tweed, & Bristow, 1982; Innes et al. The daughter started screaming: "Doesn't anybody here know CPR [cardiopulmonary resuscitation]? Just 40 percent of CPR patients survive their crisis. Thus, depending on one's point of view, the CPR glass is either half empty or half full. CPR courses teach people to recognize the signs and symptoms of a heart attack, to ease the victim's distress and initiate the emergency response by calling 911 immediately, and to begin CPR if the victim's breathing and heartbeat stop.